Agrarian Change and Economic Development is a landmark volume that examines the historical experience of the relationship between agrarian change and economic development. Because agriculture was until recently man's dominant occupation, scholars have traditionally drawn little attention to its immense historical importance. The essays in this book redress this balance, and illustrate the significance of the western world's escape from an overwhelmingly agrarian condition. It is therefore an ideal work for encouraging those concerned with current problems to perceive agricultural development as professional historians see it, and to question the oversimplified historical analogies commonly employed in development economics. Presenting historical examples of change within particular agricultural systems, and discussing their implications for national economic development, both social scientists and planners less concerned with historical revision will have equal reason to welcome these case studies of the long-run interaction of agrarian change and economic activity. This classic book was first published in 1969. 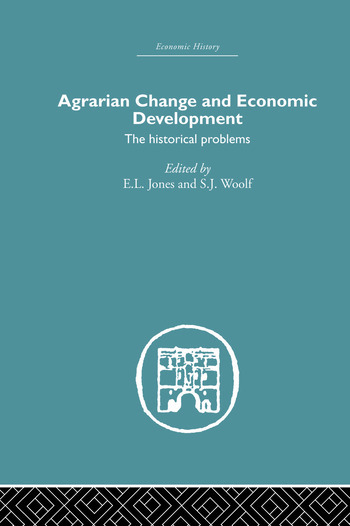 Introduction: the historical role of agrarian change in economic development, E.L. Jones and S.J. Woolf. 1. The historical relationship between agricultural and economic development in Italy, R. Zangheri.